Dr. Atwater is the Director of JCAP and the Howard Hughes Professor and Professor of Applied Physics and Materials Science at the California Institute of Technology. Dr. Amashukeli is the Deputy Director for Strategy and Program Management for JCAP and a Member of Professional Staff at the California Institute of Technology. Dr. Xenia Amashukeli is responsible for managing the mission needs of the Hub, including strategic planning, R&D milestone formulation and review, internal and external communications and outreach, industrial partnership agreements, ﬁscal management, program reviews and reporting, compliance, and Caltech-speciﬁc planning and management of space infrastructure, personnel, and ESH. Working closely with the Director and the scientific leadership, Dr. Amashukeli facilitates efﬁcient operation of the Hub, integration of research activities, and the program’s compliance with institutional and federal policies, processes, and regulations. Dr. Amashukeli is a senior research scientific manager at Caltech, who served as JCAP’s Assistant Director until September 2015. She received a B.Sc. in Chemistry from Brown University and a Ph.D. in Chemistry from California Institute of Technology. Shortly after that she joined NASA’s Jet Propulsion Laboratory (JPL) in Pasadena. As a member of the engineering staff, her research work encompassed a multidisciplinary approach to the development and testing of analytical instruments for planetary exploration missions with the focus on transitioning fundamental scientific research and early technological demonstrations toward breadboard and brassboard instrumentation development. Her work was recognized with NASA’s Space Act award. In addition to analytical instrument and method developments, Dr. Amashukeli’s research interests include energy storage and alternative fuels, and micro- and nano-systems and materials. Dr. Houle is the Deputy Director for Science and Research Integration for JCAP and a Senior Staff Scientist in the Chemical Sciences Division at Lawrence Berkley National Laboratory. Working closely with the Director and the scientific leadership, Dr. Houle is responsible for coordination of research activities across the Hub as well as between the Hub and other programs, and assists with programmatic planning and evaluation. She has overall responsibility for managing relationships and agreements between JCAP and the DOE User Facilities at LBNL and SLAC. 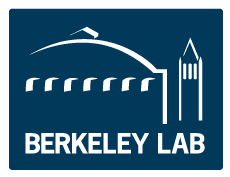 At the LBNL site, she serves as JCAP’s lead PI, coordinator for industrial interactions and partnerships, and manages day-to-day operations. Dr. Houle also participates in Thrust 4 as a PI, working on modeling of membrane transport. Her scientiﬁc background contributes expertise to JCAP and to the Division in the areas of mechanisms of surface, interface and thin ﬁlm chemical transformations, investigated using both experimental and simulation techniques, and scenarios for prospective lifecycle assessments. Her research experience includes modeling of organic aerosol oxidation at LBNL, fabrication and optimization of high performance semiconductor nanoparticle-based image sensors as Manager of Materials Development at InVisage Technologies, Inc., and foundational and applied research as a Research Staff Member at IBM’s Almaden Research Center on transformations in dielectrics, semiconductors, metals, and polymer ﬁlms. Her focus is on nanoscale compositions, transport, pattern formation, reaction mechanisms, and nanomechanical properties. In addition to new experimental approaches for investigations of complex materials systems, she has pioneered stochastic simulation methods for complex condensed phase chemical reactions including transport in inorganic and organic solids and liquids. Dr. Houle has received numerous awards including the 2009 American Vacuum Society John A Thornton Memorial Award and Lecture, the 1999 American Institute of Chemical Engineers Northern California Section Research Project of the Year, and the 1998 IBM Environmental Affairs Excellence Award. She is a Fellow of the American Physical Society and Fellow of the AVS, and member of the American Chemical Society and Materials Research Society. She currently serves as Vice-Chair of the American Physical Society's Panel on Public Affairs, on the Executive Committee of the APS Division of Condensed Matter Physics, on the New Meetings Subcommittee of the Materials Research Society, and on several LBNL committees. She has over 130 publications and 28 US patents. She received the B.A. from the University of California at Irvine and the Ph.D. from the California Institute of Technology, both in Chemistry.